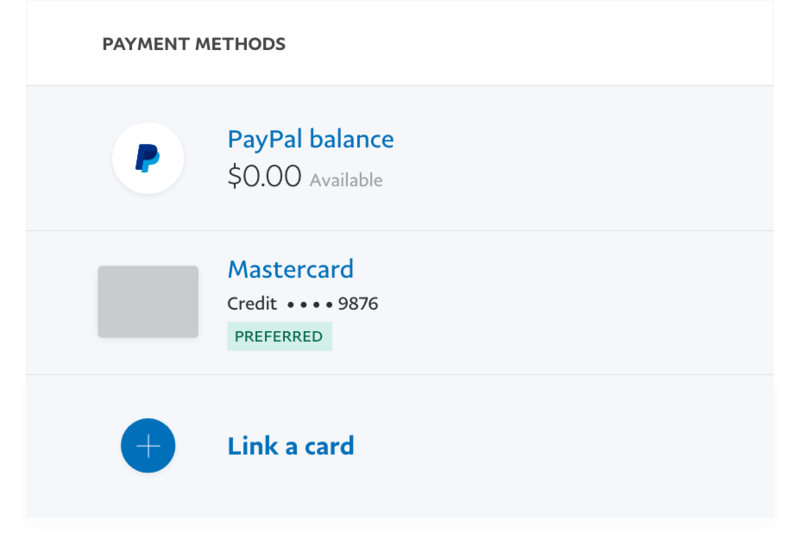 In order to shop and send payments with PayPal, link a valid credit card to your account. You can link a credit card to your account when you sign up or while making a purchase. Manage your wallet easily from your account and when multiple cards are linked to your account, choose which card you'd like to use when checking out with PayPal.